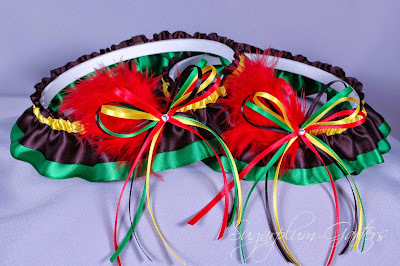 Sharing one of my newest designs today: a Rasta inspired wedding garter set in satin, and embellished with Swarovski crystals and marabou feathers! Now available in my shop as a single keepsake garter or a set with one garter to keep and another to toss! Shop Small this Holiday Weekend!